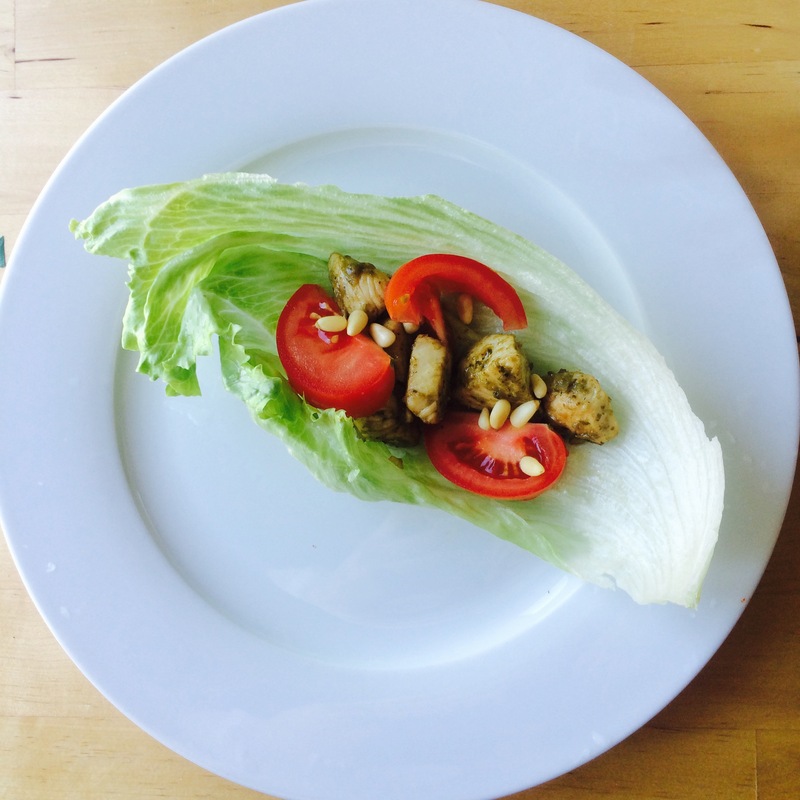 Looking for a healthy snack to fill you up? Or want something light for lunch or dinner? 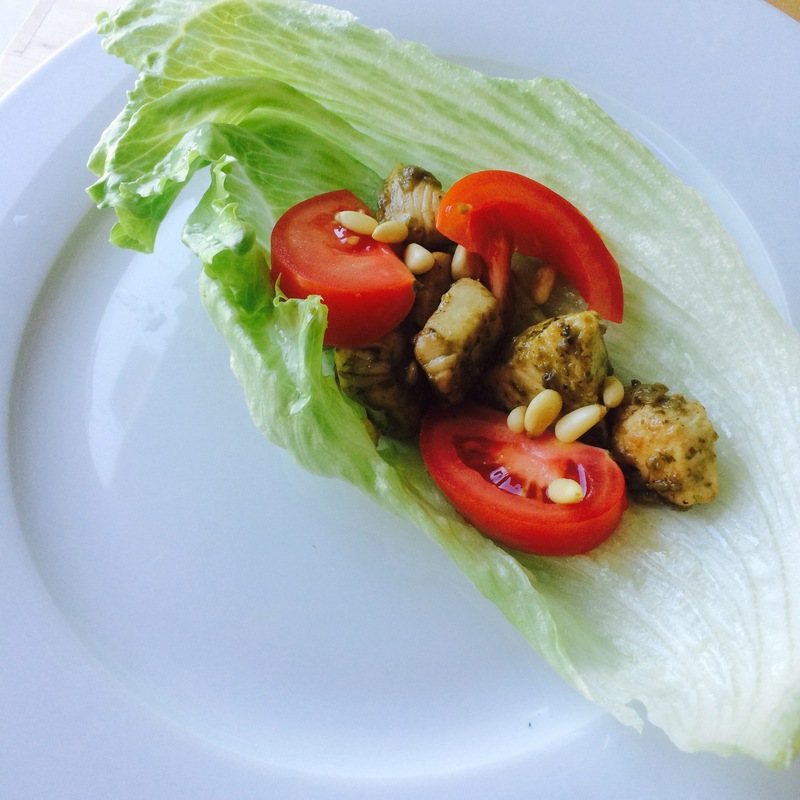 This chicken pesto with optional basil lettuce wrap and pine nuts is a nice idea and it is so tasty! Perhaps the pesto on the chicken doesn’t look the most appetising in colour but the taste is out of this world as it is so flavoursome! Great Recipe am going to make it this weekend thanks.